A mighty twenty-foot swinging bridge makes a grand entry to the main deck of this treehouse. Great care was taken in the structural design of the main platform to allow its two trees to move independently of each other, so that the structure is not stressed as the trees move in the wind. Above the main deck, an enclosed clubhouse makes a great hideout for sleepovers, and posting "no parents allowed" signs. 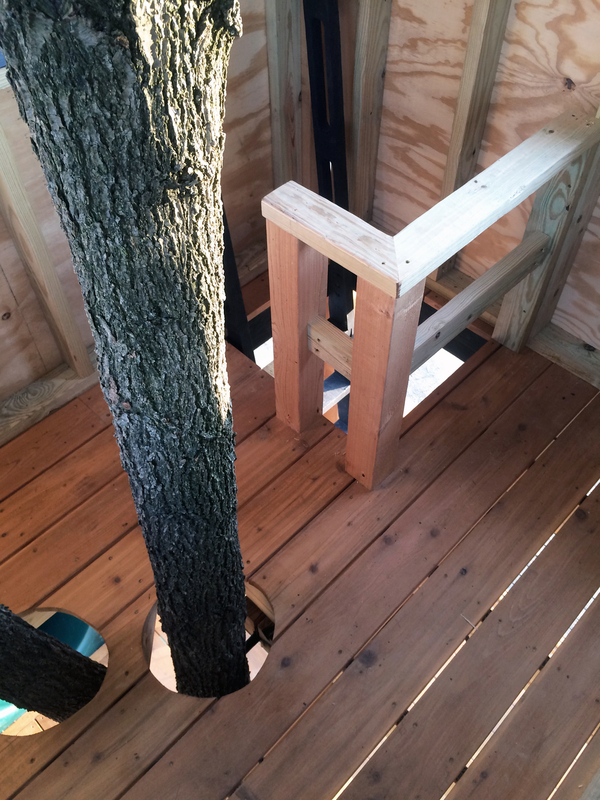 Swings, spiral tube slide, fireman's pole, trap door, and bucket hoist round it out to make this treehouse the ultimate world of fun for the four kids in this family and all their friends!